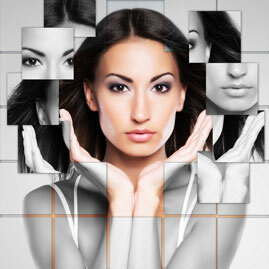 In the clinic we specialize in beauty and health. 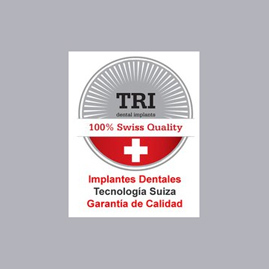 Our doctors use the most innovative and advanced treatments. With many years of experience and training, we get spectacular results: Natural expression and youthful beauty, without losing personality. FREE first consultation. Do not hesitate, call 951 388 283 for an appointment. Prevention is essential to avoid ageing prematurely. Treatments to prevent aging: Anti-Ageing. Antiaging medicine or anti-aging medicine is the branch of medicine that studies how to prevent or slow down biological aging using non-invasive cosmetic treatments, nutrition plans and healthy lifestyle. Preventive treatments starts at the first signs of aging to minimize the negative effects of age and to improve your overall health. DEEP FACIAL BIO-REVITALIZATION Three Sessions € 525, the price includes as a gift an exclusive night cream to intensify the effects of the treatment. (€ 175 each session + gift cream). One session € 195 (cream not included). Facial Biorevitalization is an advanced aesthetic treatment that induces our cells and fibroblasts to produce endogenous substances such as Collagen, Hyaluronic Acid and Elastin. With this we achieve a deep and lasting regeneration of the skin, eliminating wrinkles, sagging and signs of aging. The skin recovers luminosity, hydration, tone, elasticity and the FRESH TEXTURE OF A YOUNG SKIN. The first signs of aging are often dynamic wrinkles around your eyes, forehead and cheeks. 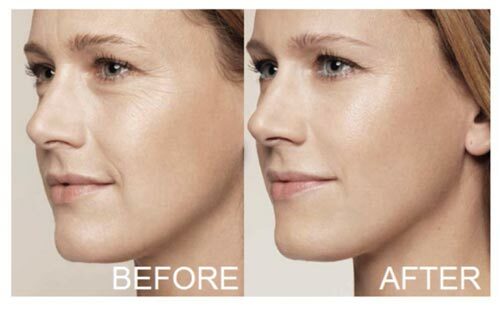 Botulinum toxin is a very effective way to reduce the appearance of wrinkles. These injections are often called by their brand name, for example Botox® . Dynamic wrinkles are caused by facial muscles that move when you smile, laugh, and squint. These are often on the forehead, between the eyebrows and the “crows’ feet” at the corner of your eyelids. Everyone is born with dynamic wrinkles but as you age, these wrinkles get deeper and easier to see. Botulinum toxin can be used to make these dynamic wrinkles less noticeable. Hyaluronic Acid Rejuvenates your skin and fills wrinkles Facial fillings allow to restore the original volume to the face and eliminate flaccidity without surgery and with a personalized diagnosis. A surgical facelift is no longer the only option for lifting and contouring a face. 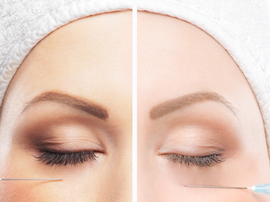 Thread lifts are a method that is gaining in popularity and efficacy. Also known as suture lifts, thread lifts involve the use of threads or sutures made from the same materials used in surgery to close wounds. When placed under the skin, they can be used to tighten and volumize areas of the skin that are loose or sagging. BODY RESHAPE therapy is used as an alternative to liposuction. It is not intended for weight loss, but to improve the contour of the body. It is used to reduce stubborn fat deposits in areas such as the chin, stomach, saddle bags, outer and inner thighs, back fat and thoracic folds. Carboxytherapy is used to treat cellulite, dark under-eye circles, and stretch marks. 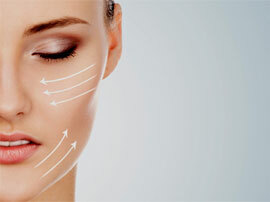 People who undergo the procedure find an improvement in: circulation skin elasticity fine lines and wrinkles. It also aids with collagen repair and the destruction of fatty deposits. For fat and cellulite reduction, the procedure is often preferred over more invasive and high-risk methods, such as liposuction. Carboxytherapy can be used on the face, eyelids, neck, stomach, arms, legs, and buttocks. Massage can aid the circulatory and lymphatic systems. Massaging cellulite is also beneficial for targeting those difficult areas that can’t always be targeted through exercise, such as the inner knee and upper thigh. Many times we feel that our legs are swollen, heavy, tired and even numb, we can even see that our ankles are swollen. These symptoms are usually due to a deficiency in blood circulation, mainly in venous return. Lymphatic massage, also called lymphatic drainage or manual lymph drainage, is a technique developed for treatment of lymphedema, an accumulation of fluid. The Effects of Lymph Drainage By manually stimulating the lymphatic system, you: Increase the carrying capacity of the lymph system, allowing it to process up to 10 times more fluid than normal. Increase the flow through the lymph nodes, filtering out waste products, dead cells, excess proteins and toxins from the tissues. 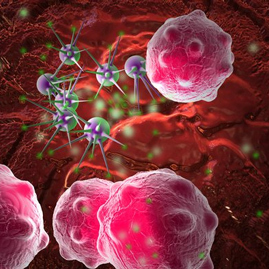 Increase the production of lymphocytes, thereby increasing the body's ability to fight infections. Activate the parasympathetic response, producing a body-wide relaxation effect. Skinboosters is a new approach to nourish and hydrate your skin, specially designed to provide deep hydration. This means increasing hydration levels in the skin to achieve a lasting hydration creating a fresh and natural appearance. Our range of Skinboosters are the only stabilized hyaluronic acid products available for the revitalization of the skin. Stabilization ensures a long-term effect. Our Skinboosters - Up to a year of hydration, firmness and luminosity. One session € 195. It takes 3 sessions to get a visible and lasting effect. 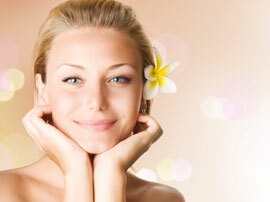 A pack of 3 sessions: € 525, including a Restylane hyaluronic acid day or night cream as a gift. Preventive Aesthetic Medicine uses non-aggressive techniques to fight and slow the appearance of the first signs of aging on the skin that usually begin to appear when you are over 30 years old. These first signs of ageing are, for example, dark circles, small wrinkles and fine lines around the eyes, forehead and eyebrows. Later on, when you reach the age of 40, the ageing becomes well obvious showing loss of facial volume and deeper wrinkles, for example in the corners of the mouth or upper lip. Botox injections are the best known of a group of medications that use various forms of botulinum toxin to temporarily paralyze muscle activity. Botox injections are noted primarily for the ability to reduce the appearance of facial wrinkles. They are also used to treat such problems as repetitive neck spasms (cervical dystonia), excessive sweating (hyperhidrosis), overactive bladder and lazy eye. Botox injections may also help prevent chronic migraines in some people. Botox was the first drug to use botulinum toxin. Other products now include Dysport, Myobloc and Xeomin. Lip Augmentation with hyaluronic acid provides excellent and very natural results, it is an outpatient procedure that it is done in the clinic. Lip Augmentation is an aesthetic correction that is frequently requested by patients who attend the consultation of the cosmetic medicine clinics. Hyaluronic Acid is part of the natural moisture factor of hydration of the skin (NMF), it is essential to retain and fix water, making it possible for the skin to retain moisture to avoid loosing elasticity, the turgidity and natural thickness of youthful skin. Signs of aging? Fine Wrinkles? Dark spots? Irregular skin? Acne marks? Dilated Pores? A Chemical peel will help you solve these problems. The chemical peel is non-invasive. It helps to clean the surface layer of the skin in a deep way, allowing new skin to grow and getting a natural and renewed look with less wrinkles. A Peel is not only for people with wrinkles, or young people with acne problems. 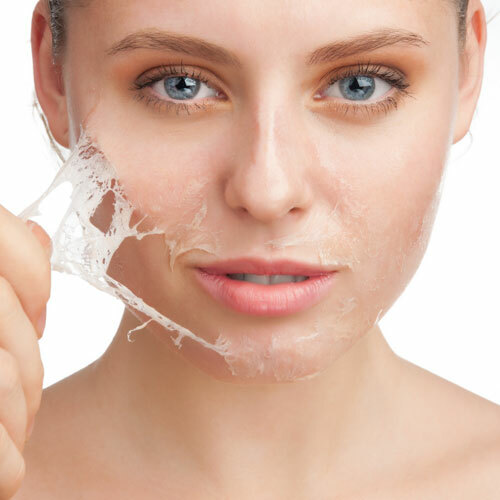 A peel removes the layer of dead cells, increasing the luminosity and the texture of the skin. Allows to treat acne scars. Allows to remove dark spots. Reduce the size and depth of wrinkles. Generate new skin in areas where there are scars, stretch marks and acne marks. Decreases dilated pores and improves the texture of the skin.